New Delhi: The Akhil Bharatiya Vidyarthi Parishad (ABVP) bagged top three posts in the Delhi University Students Union polls on Thursday, winning the President, Vice-President and Joint Secretary respectively, while the National Students Union's candidate won the post of Secretary. ABVP candidates Ankiv Baisoya and Shakti Singh swept the posts of President and Vice-President, while their candidate Jyoti Chaudhary won the post of Joint Secretary.It was a close battle between the two important student parties during the several rounds of counting that concluded here on Thursday night, after a hick-up in the day. NSUI' s candidate Akash Chaudhary won the post of Secretary. The counting for Delhi University Students Union elections, which was paused midway due to some EVM issue, resumed after a while here. The counting that began here on Thursday, had to be suspended in the middle, after some complaints regarding alleged faults in the Electronic Voting Machines (EVMs) , however, after the matter was discussed by the University officials and the concerned student bodies and it was resumed. 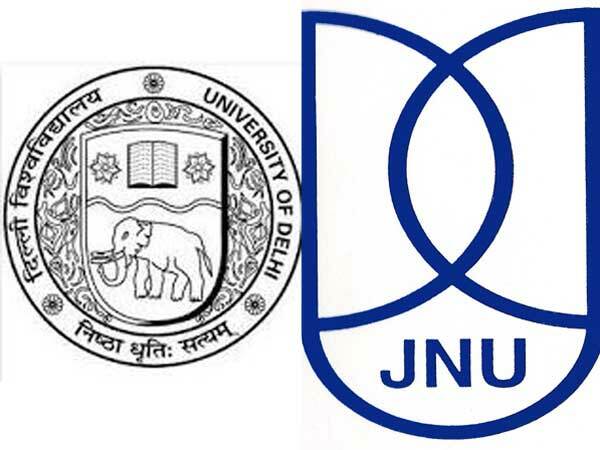 The grand old party's student wing NSUI, earlier in the day demanded that fresh polling for the DUSU election, while BJP's student wing ABVP insisted on counting , which was suspended, to be resumed.NSUI, which was leading in the President and Secretary posts after six rounds of counting, alleged that EVM was tampered in the polls. ''EVM tampering in DU this time. Votes are being displayed on Ballot no 10 in Secretary post. There's no one on Ballot no 10, NOTA is 9,'' the NSUI tweeted.Elaborate security arrangements were made outside the counting centre in view of warding off any untoward incident. Voting for the DUSU polls was held on Wednesday amid heavy police presence, wherein polling took place across 52 centres in two sessions, that is morning and evening, beginning from 0830 hrs in the morning and concluding at 1930 hrs.